When Charlotte Tilbury's make up line first launched in September 2013 I have to admit I really wasn't too interested in it, I'd heard of Charlotte and knew she was a make up artist but didn't really have much of an opinion on the launch of her make up and skin care line, I thought it would just be another high end launch with lots of hype. Fast forward to Christmas 2014 and I am completely in love!!! 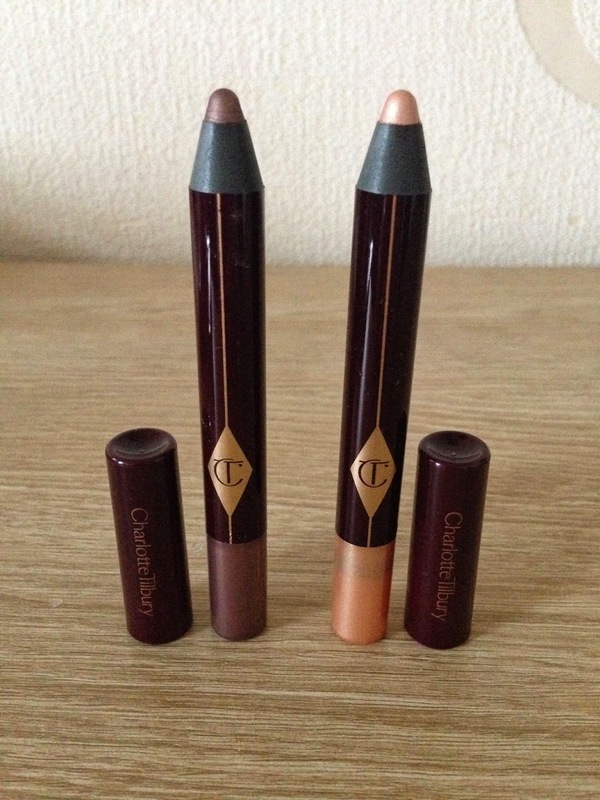 I started to dip my toe in the Charlotte Tilbury waters so to speak around October/November of 2014 after speaking to my lovely friend Gemma about the brand, she had been to an event and had the opportunity to try some of the products and was lucky enough to meet Charlotte herself, Gemma told me she loved the products and how amazing she thought they were so I started to a little research of my own. I began looking on line at the products and reading reviews and watching videos of Charlotte using her products and I was completely smitten, I asked my daughter Nichole who is a make up artist, what she thought of the brand and she said she'd not used the products on clients but she said she would take a look at the products and let me know what she thought. Nichole had remained tight lipped about her opinion of the products because little did I know she had loved them and bought me some of the products for Christmas, but she didn't want me to go out and buy any of them so she kept her love of them quiet from me. 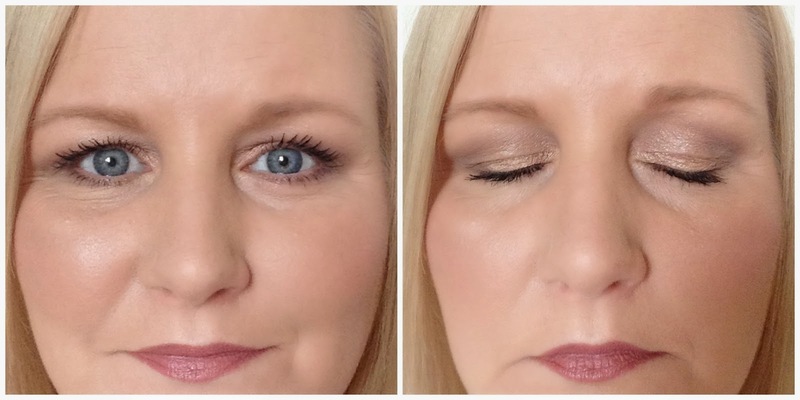 I was thrilled to receive the make up at Christmas and 2 of the products I was lucky enough to receive were 2 of the Colour Chameleon eyeshadow pencils in Champagne Diamonds a pale champagne/gold colour and Dark Pearl a rich brown colour. To say I love these pencils would be an understatement, they are amazing products and I will certainly be re purchasing these when they run out (after I've had a little cry and mourned them for a while) I've never used an eyeshadow pencil before and I had read on some blogs that some people found these hard to use, and all I can say to that is.......why? They are soooo easy to use, I use mine by first of all applying champagne diamonds all over my eyelid and up to my crease, straight from the pencil, then I take a MAC 217 brush and blend out the edges. Then I take the dark pearl and draw a 'v' shape in the outer corner of my eye and along my crease, and again taking my 217 brush I blend it out. I then apply some of the dark pearl along my lower lash line and blend it out again with the 217 brush. The pencils blend beautifully, they are so easy to work with, I would say you have to be quite quick with them as they do set and once they do they don't move but you have enough time to work with them and achieve the look you want to. The make up look shown above is a typical look I create using the pencils, it is so quick and easy and these pencils would be ideal for someone who doesn't have a lot of time to get ready, they are super quick and super easy to use, I like that they can be built up too, if I wanted a more smoky look I would just apply more of the dark pearl and blend it until I'd got the look I wanted. 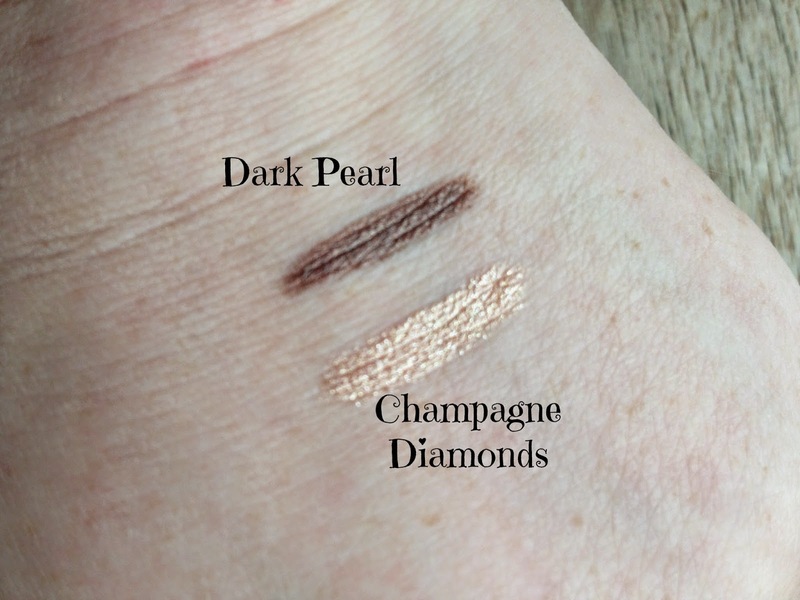 Champagne Diamonds is a beautiful champagne/gold colour with a little bit of sparkle to it, it's not overly sparkly and suitable for both day and night looks, Dark Pearl is a lovely rich brown colour, again with a hint of shimmer/sparkle but nothing too OTT as you can see from the photograph above, the pencils can be used for both daytime and evening looks and I can't wait to use Dark Pearl on its own all over the lid and smoked up to the crease, I'll add a little of the Champagne Diamonds in the tear duct area to open my eyes a little. I really like the pencils, they are stunning, the apply well and blend beautifully but there are a couple of negatives, one is that these do crease on me, I do have oily eye lids and need to use a primer so if you have oily eye lids you will need a primer, the MAC paint pot in painterly is a great primer for cream eyeshadows so I would recommend using that or something similar under the pencils, but if you don't have oily lids they may not crease on you but it is something I wanted to mention and a negative for me. My next negative is that the pencils need sharpening after each use meaning they wear down very quickly so they will need to be re purchased a lot if you use them all the time. These aren't huge negatives and I do love the pencils but I am always honest and feel these are things you need to know. It doesn't change my opinion of the pencils, they are stunning, but I feel you need to know the negatives I have found with them too. 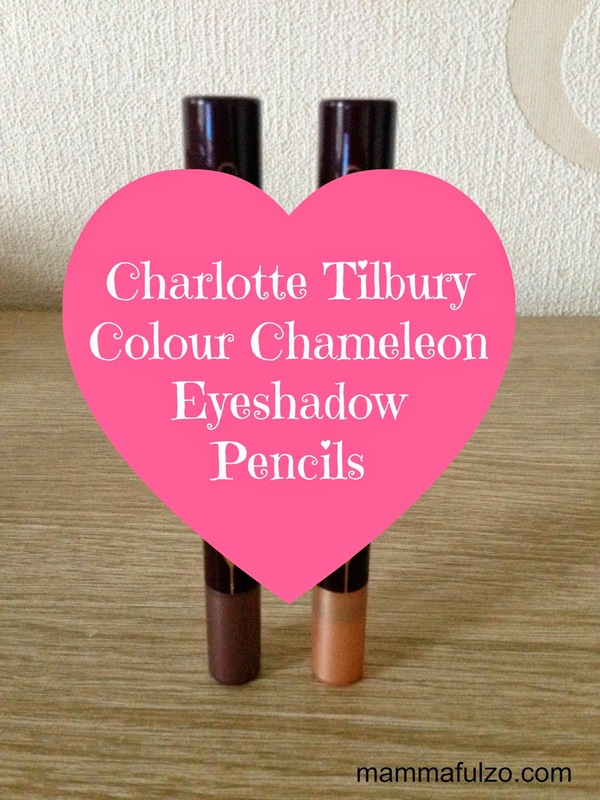 If you'd like to try the Colour Chameleon Eyeshadow Pencils you can find them on line on the Charlotte Tilbury website or by visiting the Selfridges website or on the Net-A-Porter website. Or in store at Selfridges in Birmingham, London and Manchester (exchange square) Harvey Nichols in Leeds, Fenwick in London and Brown Thomas in Dublin. 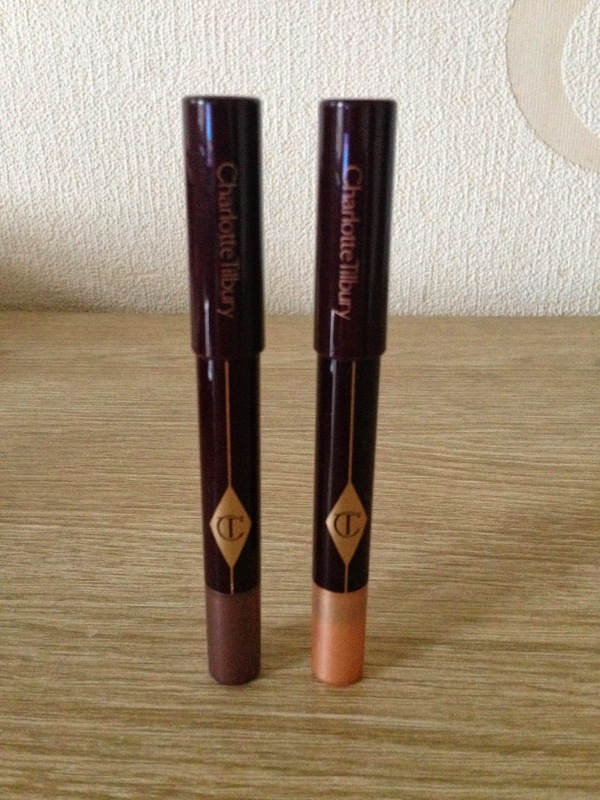 Have you tried any of the Charlotte Tilbury make up? What's your favourite product or your most lusted after product?